Built with BT BLE 4.0 technology, it has lower latency, lower power consumption and higher transmission rate. It will automatically enter into sleep mode after a period of inactivity. Suitable for both Android and iOS OS and there is no need to download any applications. From early 2000's in near new condition. 1 Headrest Monitor. LCD Monitor: 800 480 RGB. Function: USB/SD/TV function (optional). With a bracket on the back, the monitor can be adjusted to multiple angles. Video/Audio Input: 2 Video input, 2 Audio input (optional). (1 x 1080P Full HD Car Rearview Mirror DVR. 170° wide angle lens, can record in more angles. 1 x 720P Back lens with wire. 1 x Back lens Extension cord（Length:About 5.5M 18ft). After opening the motion detection, it will record automatically if there is anyone entering the picture. Material Process: ABS. If you are satisfied with our service, pls. Model: AA59-00581A. Humanized design to fix it on your steering wheel, greatly improve the convenience and safety for drivers. Simple installation, it is fit for most vehicles. Material: ABS. Only needs BT-enabled devices, there is no need to download other applications, very easy to operate. You can press any key to wake it up and it will automatically get connected. Believe it will bring you great using experience. Humanized design to fix it on your steering wheel, greatly improve the convenience and safety for drivers. Simple installation, it is fit for most vehicles. 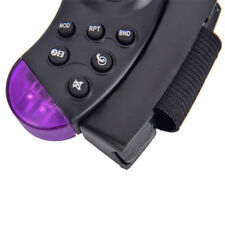 Ergonomic design, can be fixed on steering wheel, improve great operation convenience and safety for user. Which suit for steering wheel locate Left side. Simple and easy copy operation, high correct ratio for copy. Specifications are subject to change without notice. While every attempt has been made by RepoGuys in the production of these specifications, possible errors or omissions may still occur. It has been tested and is in good condition. Ergonomic design, can be fixed on the steering wheel, for the user to improve operational convenience and safety. Simple, convenient copy operation, copy the correct rate. The copy function can be saved permanently if it is not manually deleted. The buttons are simple to understand and easy to operate. Remote Photography. Net Weight:11g/0.39oz. Remote Distance: 10m. For Music Player. This can be for any of the following reasons -. 1 Pakage Box. There is no need to download any other install applications, very easy to operate. To conserve battery power, BT-005 will automatically enter into sleep mode after a period of inactivity. Moreover, it is suitable for both iOS and Android OS. Rockford Fosgate Punch PLC2 Remote Cntrl w/input Clip Indicator FREE CELL ANTENA. Rockford Fosgate Punch PLC2. Model PLC2. 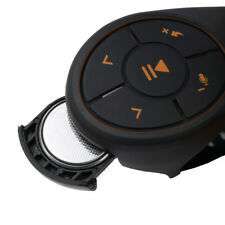 works with the following 2013-up Rockford Fosgate Punch amplifiers Remote Cntrl w/input Clip Indicator. For JVC MKD-A525 KD-A625 KD-A725 KD-AH79 KD-HDR44 KD-HDR70 KD-R320 KD-R328 KD-R420 KD-R520 KD-R528 KD-R620 KD-R628 KD-R720 KD-R200. Note: The real color of the item may be slightly different from the pictures shown on website caused by many factors such as brightness of your monitor and light brightness. The humanized structure design of the steering wheel greatly improves user's convenience and safety. 4.3V twisted button battery power, low power consumption. Colour: Black. Connects the amplifier with stereo via RCA connectors. Note: The real color of the item may be slightly different from the pictures shown on website caused by many factors such as brightness of your monitor and light brightness. Special Features:Bluetooth Connection. Access at the touch of a button to the smartphone. Key chains, car handle, and be attached, such as the dashboard, also safe and easy to access when the not reach hand in smartphone. Built in Bluetooth 4.0 BLE (Bluetooth low energy) low power chip, low power consumption and fast response;. Bluetooth Version: BLE (V4.0). Net weight: about 39g. 1 X Button Cell. Gross weight: about 62g. 1 x SANYO Remote. Specifications are subject to change without notice. While every attempt has been made by RepoGuys in the production of these specifications, possible errors or omissions may still occur. Built in Bluetooth 4.0 BLE (Bluetooth low energy) low power chip, low power consumption and fast response;. Bluetooth Version: BLE (V4.0). Net weight: about 39g. Battery: CR2032-3V x 2. 1 X Button Cell. Can Adjust the Amplifier Gain While Driving. - Interface: 2 RCA Output, 2 RCA Input. - Mount in or under the dash. - Perfect for Balancing the System to Change Music Styles. - Suitable for most of the car. Further transmission distance and stable performance. Note: The real color of the item may be slightly different from the pictures shown on website caused by many factors such as brightness of your monitor and light brightness. PIONEER CXC3173 remote control in good used working condition. Convenient to use, small and compact, the wireless Bluetooth range is up to 15m. Support connect two Bluetooth devices simultaneously. - Adopts BLE4.0 technology, low consumption and fast response. Frequency:150Hz - 40Hz Gain: 0dB - 12dB Interface: Gold plated 2 RCA input 2 RCA output. - Adjusts level through RCA inputs and outputs. Widely compatibility, compatible with Android 4.3 and above, iOS 7.0 and above. - Compatible System: Android 4.3 , IOS 7.0 . 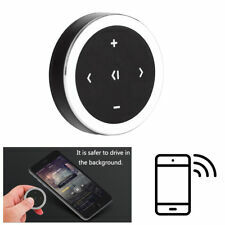 - Convenient to use, small and compact, the wireless bluetooth range is up to 15m.